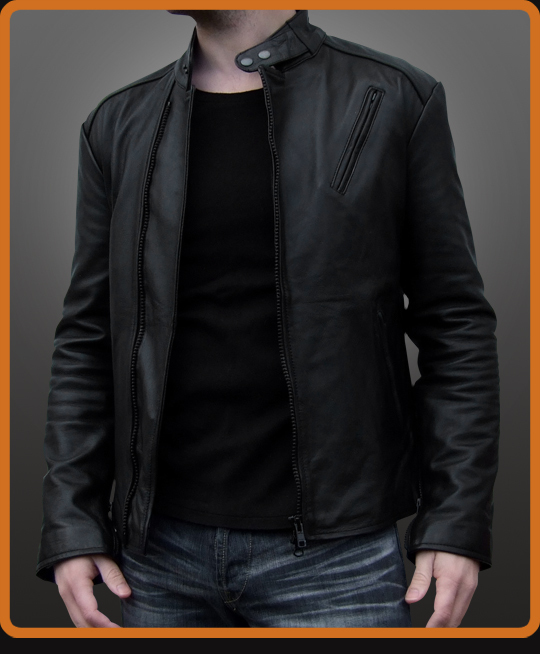 Leather motorcycle jacket replica from Iron Man movie. Inspired by Tony Stark character portrayed by Robert Downey Jr. Jacket details match the original as closely as possible from the angled zip pockets, to the banded collar with double snaps, and tapered zip sleeves. Less bulk than the Iron Man suit. Full grain A1 quality aniline leather. Fully lined. Available in Black or Antique Brown.